A blog started as a place for Amy to share her love of all things old and very quickly become a platform all about space. There was a hunger to know more about space flight before we landed on the moon. A time during the 1950’s and 1960’s when anything really went – astronauts built their own training crafts, lots of men died and the race was on to get to the moon. 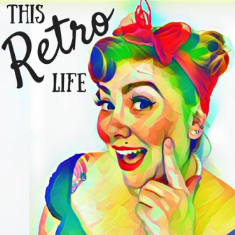 It has now become Amy’s full time passion telling you about vintage space through her video channel. So what are some of the incredible vintage space facts and stories that Amy Shira Teitel loves? Listen to our latest episode to find out!